Firm: Kathleen M. Newman + Associates, P.A. 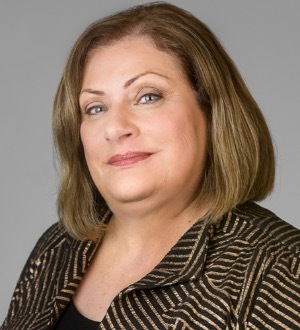 With extensive experience in all aspects of marital dissolutions, Kathleen M. Newman has represented many complex and ongoing matters in the personal, financial and business interests of her clients. You will likely first notice her quiet demeanor and listening skills as she discerns the critical issues of a case. Then she will quickly drill down with practiced interviewing skills to the facts, timelines and your goals for resolution. Focusing her practice on clients whose business and financial interests require sophisticated counsel for discovery, negotiations and potential court representation, Kathleen is adept at legal strategies that keep your case moving forward toward a reasonable and appropriate conclusion. Until then, she will assertively pursue your interests even for issues that evolve after your divorce. Her experience includes business and asset valuation issues, custody, prenuptial agreements and maintenance disputes, and hidden or non-marital property matters. When children are involved, Kathleen sets herself apart through her strong advocacy of custody, support and parenting agreements that meet long-term needs. Although she rarely represents children directly, her counsel to clients always keeps a child’s interests in the mix of negotiations. Kathleen is Board-Certified as a Family Law Trial Advocate by the National Board of Trial Advocacy. She is also a skilled mediator, approved for inclusion in the Minnesota ADR Statewide Neutrals Roster in all categories of Family Neutrals. Minnesota Law & Politics has consistently listed Kathleen as a Super Lawyer and named her among the Top 40 Super Lawyers for Family Law. She was also named among the Top 100 Women Super Lawyers by Minneapolis-St. Paul Magazine. Since 1993, Kathleen has been named every year to the Best Lawyers in America (Family Law). She is also a Fellow in the prestigious American Academy of Matrimonial Lawyers. In the midst of developing her successful legal practice, Kathleen was trained at the internationally renowned Hudson Institute of Santa Barbara as a certified Life Coach. She focuses her coaching practice on professional development for attorneys.